"Fontana soldier dies of non-combat-related injuries in Afghanistan"
FONTANA >> Army Staff Sgt. Robert E. Thomas Jr., 24, of Fontana, died Friday in Texas where he was being treated for wounds received in Afghanistan in a non-combat-related incident. The Department of Defense said Thomas, a graduate of Etiwanda High School, died at Brooke Army Hospital at Fort San Houston in San Antonio of wounds received on April 21 in Maiwand, Afghanistan. here were no further details released as to the nature of the incident. homas is survived by his wife, Kristina and daughter, Hailey. He was on his second tour of duty in Afghanistan in addition to a 12-month tour in Iraq in 2007. Thomas was a squad leader in a mortar platoon with the 1st Brigade, 1st Armored Division at Fort Bliss, Texas, when it deployed to Afghanistan in December. He had spent 10 months as a squad leader during an earlier tour in Afghanistan starting in October 2010. According to information provided by the Army at Fort Bliss, Thomas was born on Nov. 4, 1988 in San Bernardino. He graduated from Etiwanda High School in June 2006 and enlisted in the Army shortly thereafter. Thomas’ awards include the Army Commendation Medal with two oak leaf clusters, the Army Achievement Medal with one oak leaf cluster, the Army Good Conduct Medal, the Global War on Terrorism Service Medal, the National Defense Service Medal, the Afghan Campaign Medal with a Campaign Star, the Iraq Campaign Medal with Campaign Star, the NATO Medal, the Combat Infantryman Badge, and the Air Assault Badge. 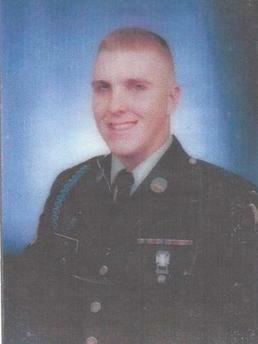 "Thank you for helping us supporting Army Staff Sergant Robert Thomas and his family!"